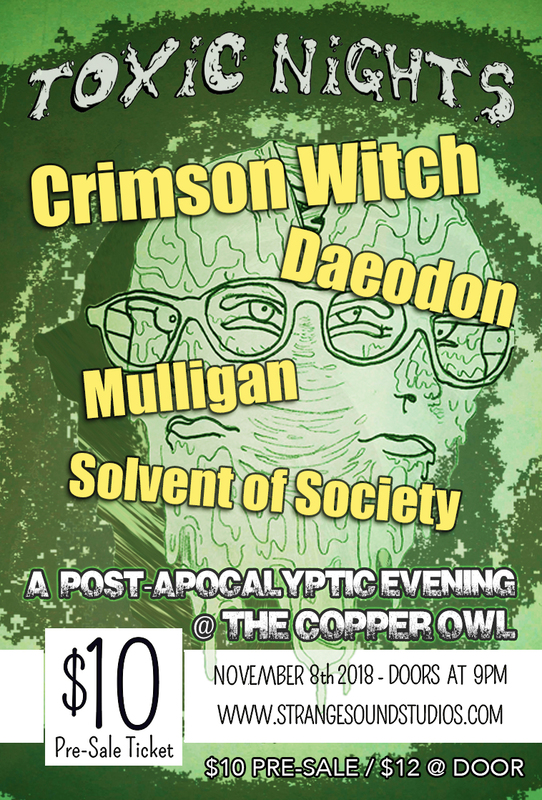 Come and join us on November 8th at the Copper Owl for a Post-Apocalyptic Costume Party to end the ages. Zombies, Mutants and those who have barely survived the Fallout are encouraged to attend, with random merch giveaways for the most toxic costumes! 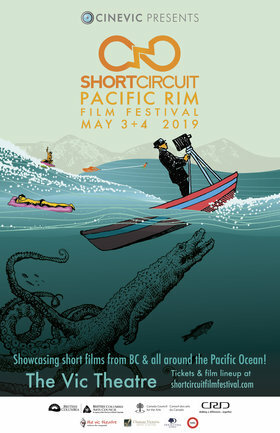 While you seek shelter from the fallout, inside the safety of the Copper Owl, we will be partying with 4 awesome bands! 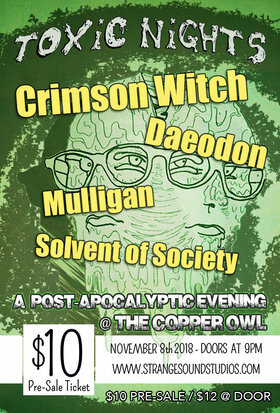 Crimson Witch, Daeodon, Mulligan, and Solvent of Society will be putting on a very toxic show for us, and we all invite you to take part in what we call 'Toxic Nights'.